Searching for a non-profit organization where you can volunteer your time? Look no further than the Houston Public Library! There are plenty of ways to put your talents to good use and help others within the metro area. You can donate your time as long as you are 14 years of age or older. That means if you’re a student, a parent, a working individual or a retiree, there’s something you can do. Volunteer today at a local library! There are 40 convenient locations all around Houston. This lets you volunteer close to your home, school or workplace. This includes Central Library in downtown Houston, the Special Collections Libraries, and other locations within Houston neighborhoods. The Houston Public Library tries to match their volunteers with the assignments that interest them the most. Because there’s such a variety of help needed, volunteers are needed whenever the library is open. The library experiences its busiest time during evenings and on weekends, and the need for help at those times is higher. However, if that doesn’t fit with your schedule, the library will try to accommodate your availability. Other peak times include summer vacation, spring break and over the holiday season. 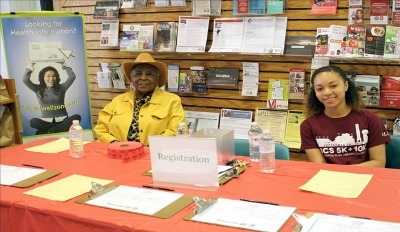 To start helping today, you can call Volunteer Services at (832) 393-1481 or send them an email. Hello! My name is Lesly Sandoval and I am an officer for HOSA at Stafford High School, I’m am looking for volunteer opportunities for our club. I’d really appreciate it if you could get back to me with more information. Thank you for following out blog Lesly! Houston is such and amazing city and Gallery Furniture is blessed to be a part of it! Reading through previous posts is a great way to find organizations that are looking for volunteers. Also, have your HOSA members think about what sorts of activities they enjoy or what skills they have. This is good way to find places to help out. Calling organizations that help others and asking how you can help is always a good idea as well! The zoo, museums, libraries, hospitals, children’s hospitals, community gardens, and local churches are good places to start.